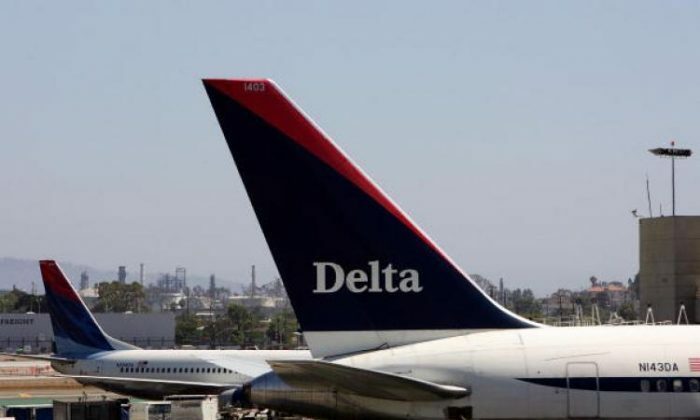 A Delta flight heading from New York’s John F. Kennedy International Airport to Seattle was forced to make an emergency landing to give passengers a bathroom break. According to the Billings-Gazette newspaper, the plane stopped in Billings, Montana, on Saturday after toilets became full and passengers couldn’t wait. “All toilets were full and passengers needed to ‘go really bad,’” a report from Delta said. The plane diverted hundreds of miles to the south and landed in the city. The aircraft then taxied on the runway as there were “passengers that needed to find a lavatory very urgently,” the report stated. The plane had to go to a cargo area because there were no gates available for the plane, the New York Daily News reported. Crews then had to bring a rolling stairway to the plane so passengers could use the restroom. They were allowed to get back on the plane and continued to Seattle after the toilets were fixed, Kevin Ploehn, the Billings director of aviation and transit, told the Gazette. A flight from New York City to Seattle can take around six hours.